Improving collaboration with customers, members and other stakeholders is crucial for the success of any organisation, and a new wave of Digital Tools and platforms now make this even easier and cost effective to achieve. Digital First have a strategic partnership with Higher Logic to implement their community and collaboration platform. Higher Logic is a leading provider of online engagement and marketing automation tools and the world’s leading provider of online communities for professional associations, trade associations, and membership organisations. Around the world, thousands of professional associations, software user groups, not-for-profits, and customer groups utilise Higher Logic to facilitate private, secure communities, drive interactions, and facilitate knowledge sharing and engagement. Core stakeholders and constituents communicate and share information. The resources, best practices, and experiences created are invaluable for both end-users and the organisations and companies that facilitate the environments. The tools develop your customer and member culture through vibrant managed discussions, quick response times, better staff support relationships, and the depth of knowledge produced. Organisations are moving to collaborating and sharing services at a far quicker pace than ever. Digital infrastructure often lies at the heart of successful collaboration – ensuring services are available, operate on common technology and data can be securely exchanged. 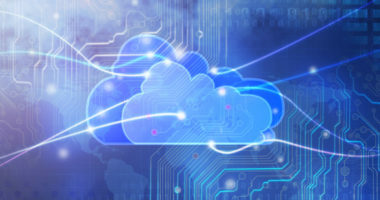 Migration to cloud, either private or public, is becoming an important part of sharing infrastructure to enable greater inter-operability, application rationalisation and fully flexible ways of working. Understanding the current technology landscape, both applications and infrastructure, is a key ingredient to successful digital transformation. Digital First have worked with many clients to assess all aspects of their technology environment and develop plans to replace, upgrade and modernise the components required to deliver and more efficient and customer focussed digital organisation. Integration between services, or integrating data across services such as between health and social care and justice services, is increasing important to gain a single view of the customer and use information intelligently to see trends, target interventions and prioritise resources. Digital First is seeing new models of disruptive working appear, such as care marketplace, brokerage models and common data platforms. Integration is underpinned by having the right digital infrastructure, governance and authentication to manage cyber security. Recent advances in Cloud technologies have made data analytics much more powerful, accessible and affordable. This represents an exciting opportunity for organisations whose data, and therefore their understanding of customers and their needs, has been very disjointed and spread across a multitude of applications and sources that have not been integrated to date. Digital First have worked with several organisations to extract and join up these datasets and sources, in a safe and secure manner using the latest cloud technologies. On each occasion, the learning derived from this new approach to data analytics has produced new insights and opportunities to deliver more efficient and effective services. Digital First were commissioned to work with the Brent Housing Partnership to support its digital transformation, improve the overall customer and staff experience and delivery efficiencies through digitisation. Developed a commercial business case for investment in a programme of digital transformation.